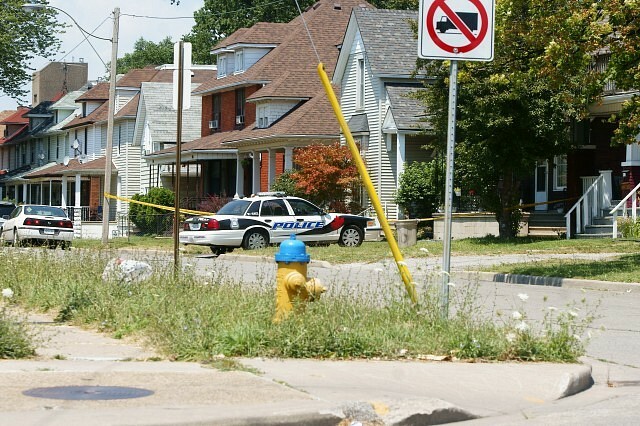 Windsor Police investigators are on scene at 564 Oak where a 63-year-old woman was found dead. Police say she had been stabbed. The coroner attended the scene and has ordered an autopsy on the deceased’s body which will take place in London. At 12:25pm, officers executed a ground search for the suspect in the downtown area and located a 40 year old suspect walking in the area of Dougall and Elliott West. Investigators received information that a vehicle registered to 564 Oak was missing from the scene. This vehicle, a 2008 Ford Focus with Ontario license plate 731 XCA, was located at 1:00pm in the Riverside area. The vehicle was seized and is currently undergoing forensic examination. The murder weapon has not been located at this time. Investigators are asking that anyone with any information regarding this occurrence is asked to call the Windsor Police Major Crime Unit at 519-255-6700 ext 4390.